Home > 2017 > DARTSLIVE > DARTSLIVE ARENA coming to DARTSLIVE2! 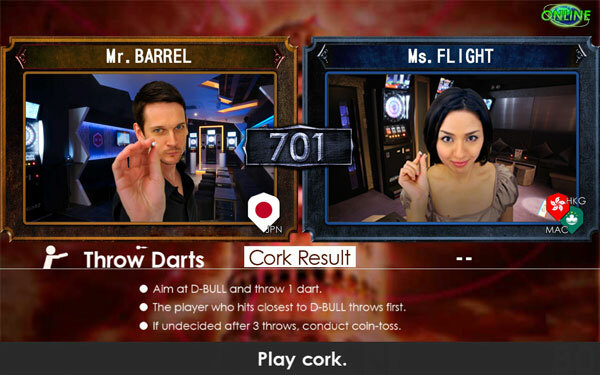 DARTSLIVE ARENA coming to DARTSLIVE2! 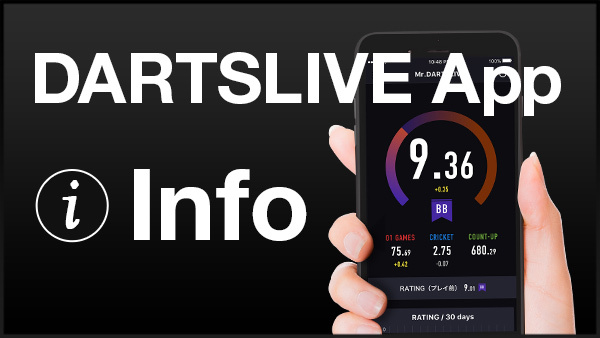 New content “DARTSLIVE ARENA” will be available on DARTSLIVE2 for online matches from Monday July 10. 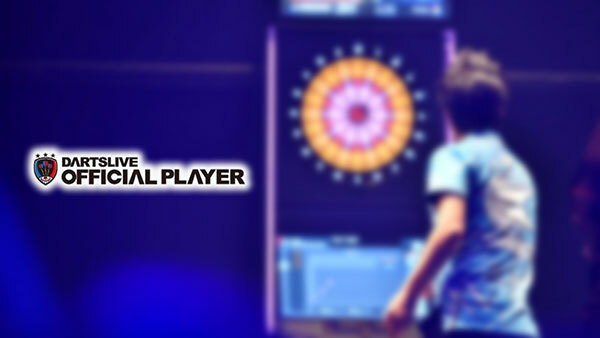 Players can casually compete in GLOBAL MATCH while they can seriously do so in DARTSLIVE ARENA. In DARTSLIVE ARENA, not only advanced players, beginners also can enjoy the matches as auto-matching feature finds you the same level opponents! 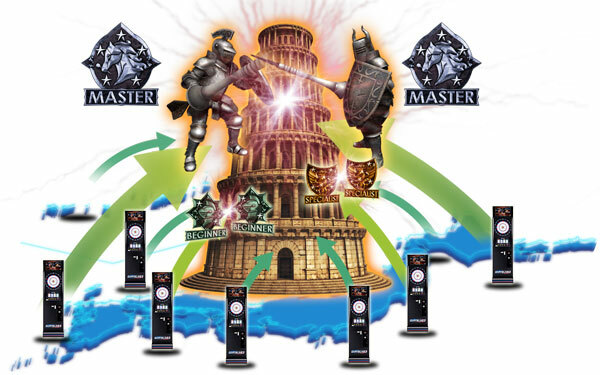 Your peer players are waiting for you in all over the world!! Play matches one on one with an automatically-selected opponent! Points will be awarded to the winner! Players can compete against stronger opponents when they accumulate points and reach higher GRADE. GRADE indicates the strength of a player in matches of DARTSLIVE ARENA. Different from often-used “darts skill level”, GRADE indicates the strength of a player based on the match results of DARTSLIVE ARENA. You earn more points from your winning and your GRADE will be higher based on the accumulated points. However, if you lose, your points will be lower and your GRADE will drop eventually. Depending on your opponent, no. of points reduced or increased differs. Your initial GRADE is assigned based on your rating. To participate, it is required that your DARTSLIVE CARD has rating. To win your matches, give your all to not only STATS and rating but also to all of your throws! Your opponent will be selected automatically based on your GRADE. If same GRADE opponents are unavailable, an opponent with different GRADE will be selected for you. If your opponent's GRADE is higher, your wining points will be more and losing points will be less. In the opposite case where your opponent's GRADE is lower, your wining points will be less and losing points will be more. However, there will be no matching where the players' skill levels are so different. Game is selected when your opponent is decided. Either 701 or STANDARD CRICKET will be selected. You can choose neither game nor opponent. So just concentrate on winning and prove your strength! Before starting game, a cork will be conducted to decide throwing order. The results will be regarded as “D-BULL”, “D-BULL” or “Other”. If it is draw, the players will throw again. If it is draw after 3 throws, coin toss will be conducted to decide the throwing order. It is a great advantage to throw first in a game. Give your all to the cork to be able to throw first in the match! Your THEME and AWARD MOVIE are unavailable in DARTSLIVE ARENA. Scoring with a finger press, disrupting power or network on purpose will be treated as a cheating. We take a particularly serious view of any dishonest acts. We will continue to provide updates for players to enjoy safe and reliable game environment. DARTSLIVE ARENA will be constantly evolving!